We sometimes take for granted that we can turn on our tap and immediately get a glass of clean water. But have you ever asked, how clean is my drinking water where I live? 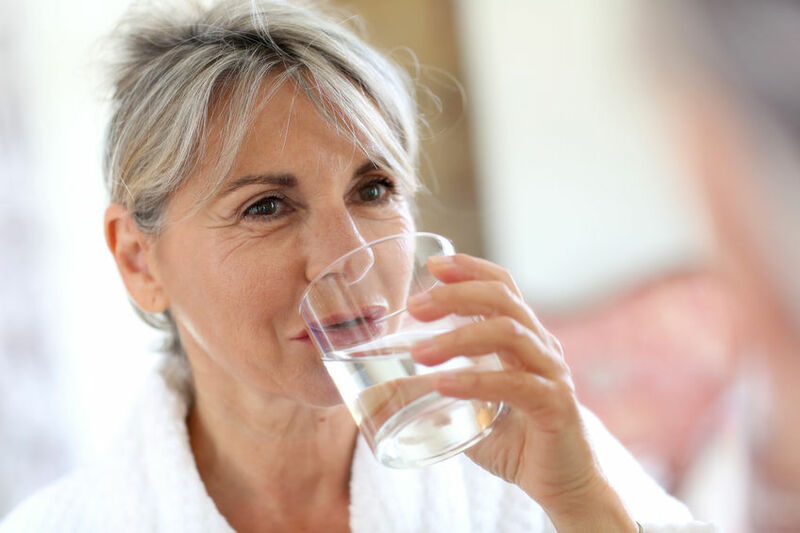 That was the question that prompted us to take a closer look; to find information that we could quickly and readily share with our patient population. The Environmental Working Group (EWG) collects data and reports from water utilities and testing sites across the country. They’ve created a site where you can enter your ZIP code and get the report for the water quality in your area. 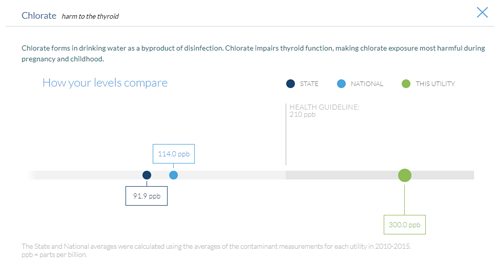 For example, did you know that the chlorate levels—which can be harmful to your thyroid—are almost three times higher in Middletown City than the national average? 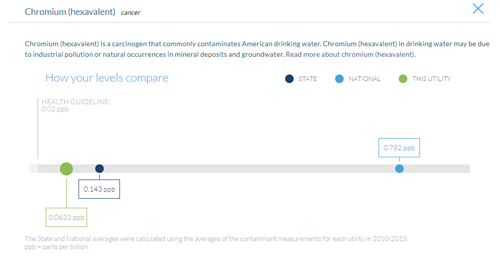 Or that the chromium (hexavalent) levels (think Erin Brockovich) in Newburgh City are nearly 12 times BELOW the national average—that’s a good thing!